This is my art and sculptures thread! 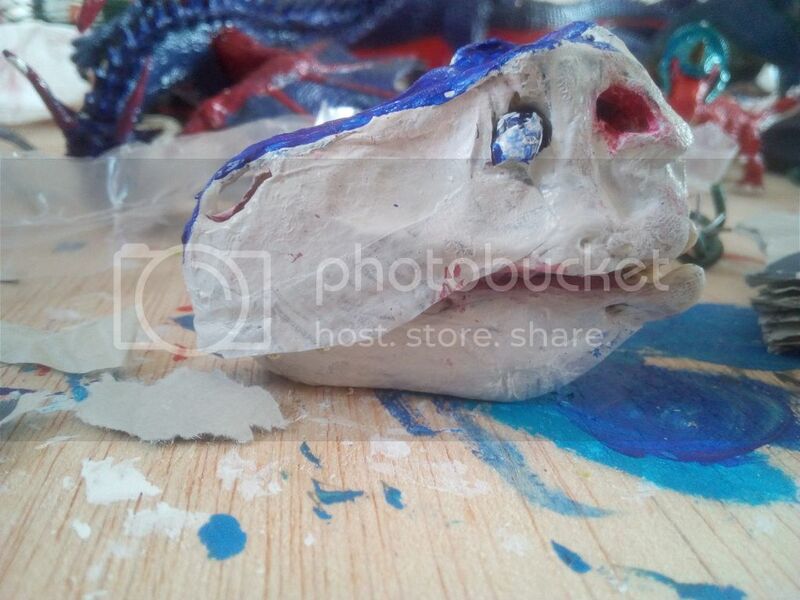 I will show you my paintings and sculptures! 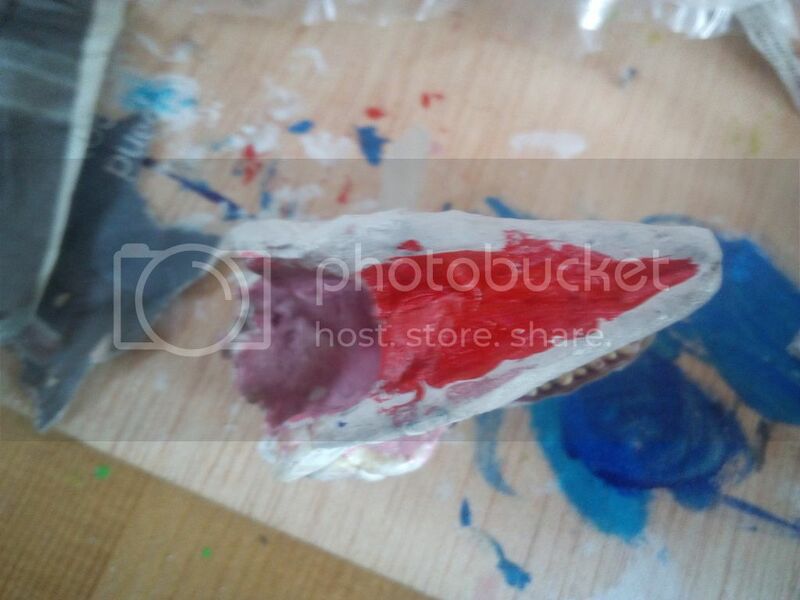 A very colourful Spinosaurus and thanks for the close up view of the head. I really like the landscape, and how you gave it interesting hills and foliage. So many artists give their dinosaurs flat ground to walk on, even some professional paleoartists, so it's good to see some variation in topography here. If the river was twisting and turning between the hills, that would give the landscape an even more natural appearance. Speaking of natural, I like how your spinosaurus has a natural expression. So many times I see predatory dinosaurs with a "killer" look. Mouth with open, wide eyes, drool everywhere. I like how calm your spinosaurus is. Like he's just out fishing for a day. He has a very birdy look to his eyes. Like the look my chickens give me when they notice I'm watching them through my window. I also really like how your spinosaurus' scaliness is implied. Some artists painstakingly render every scale, but it works much better when only a few scales are detailed, and the rest are suggested. It leads to a painting that feels more natural, less mechanical, and looks more like something would look in life. Our eyes would never see every scale in detail, only in places we focus on. You have some great elements here, but if you want to improve your skills further I have a couple of suggestions. Find photos and study them, or really take a look at landscapes around you. Look at how shadows and highlights can suggest textures without marking out every detail. Also, look at birds and reptiles and pay attention to the muscles and soft tissues around the head. 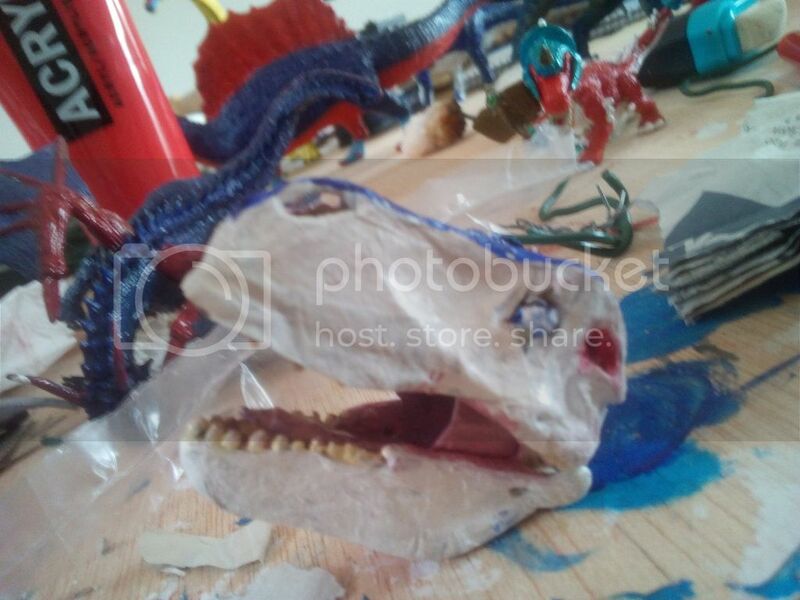 This spinosaurus has lovely scale detail on the face, but it's a bit shrink wrapped. In a living animal, we can't see the openings in the skull because these are places for muscles and other soft tissues to pass through. You have great attention to detail here, so you can have some fun with intricate color patterns or variations I scale texture. Or even other soft tissues. 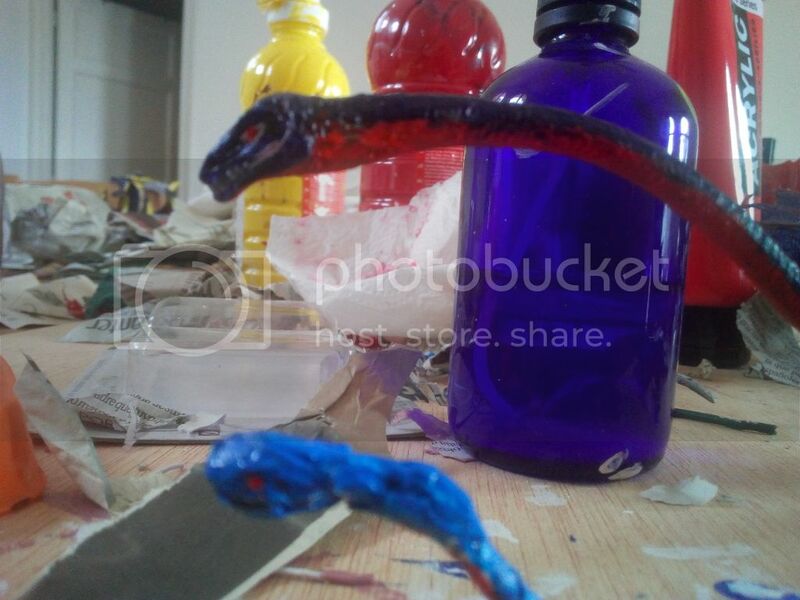 Just look at living animals like reptiles and birds for inspiration. I hope this is helpful! I'm looking forward to seeing more from you. I have thinking about shadows and highlightings, but, how this has been my first painting, I decided to don't do that. 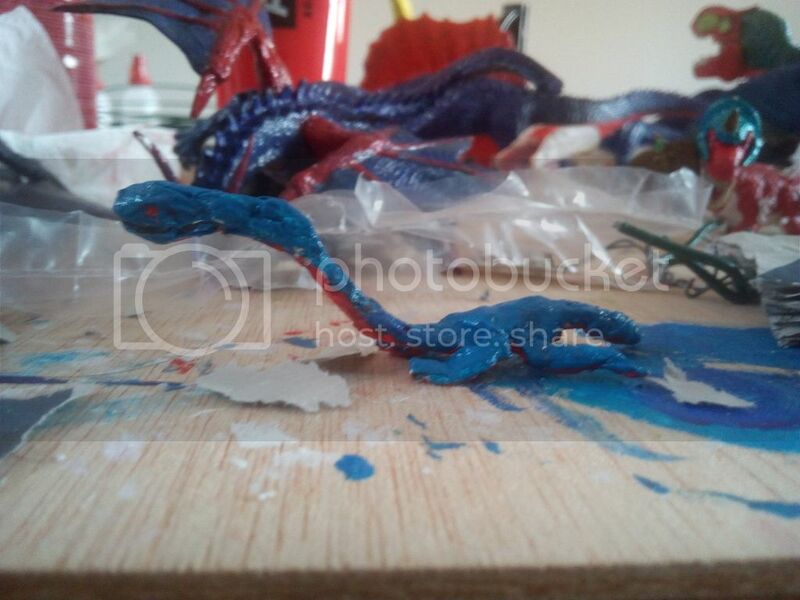 In this moment I'm working about smy first sculpt, my repaints and a criolophosauru paintings. 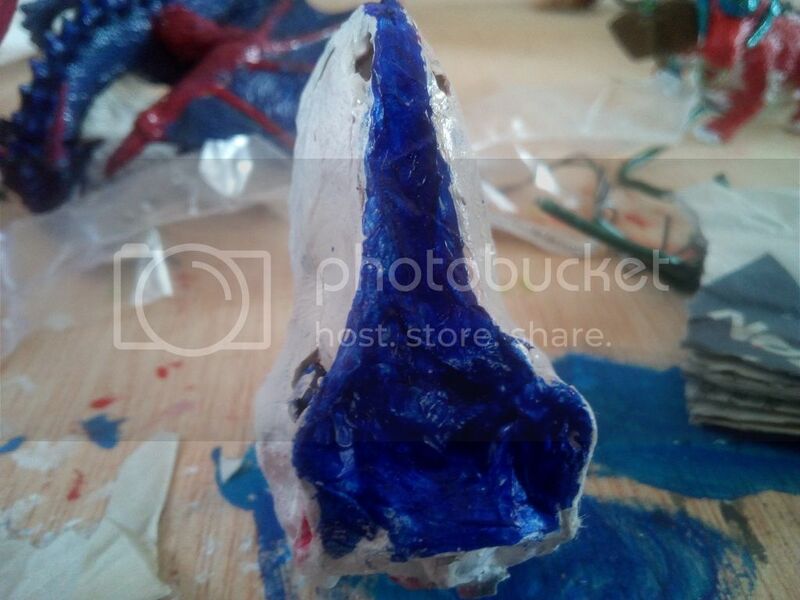 I will not do this details of the head because I don't like on this dinosaur. The pterosaur is an Alanqa Saharica. The green dinosaur that is very little at the right of the Spinosaurus sailing is a Nigersaurus. 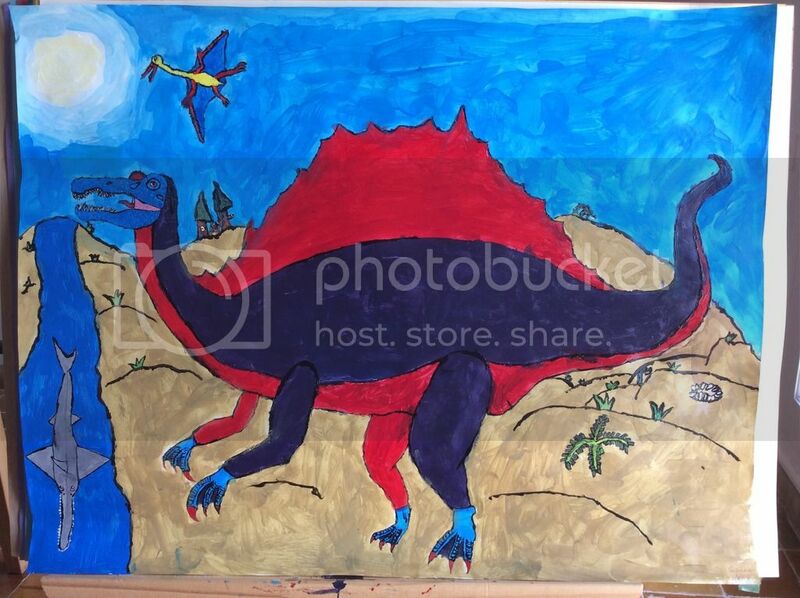 This is the worst dinosaur of the painting. Lovely! I'm really digging the webbed toes and hands and the Onchopristis! 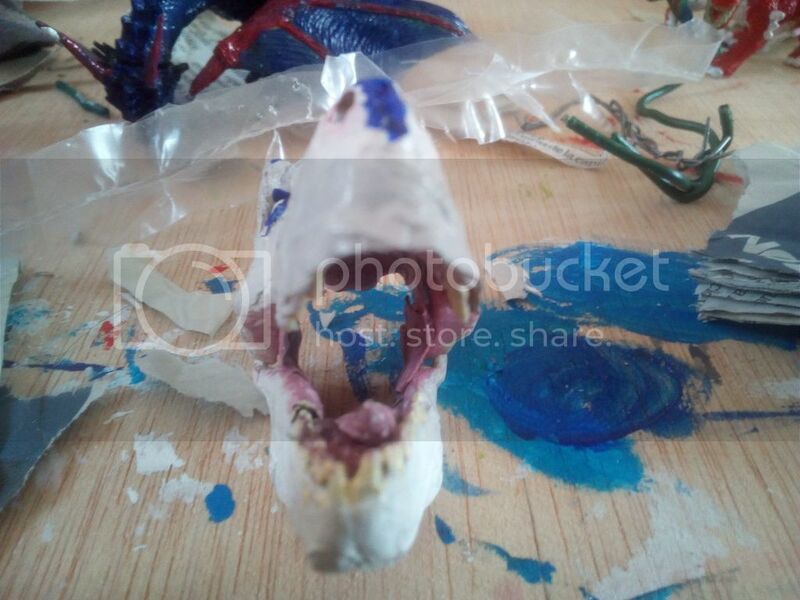 I have added painting in the skull and I'm transforming it in a dinosaur head. Look at the eyes. 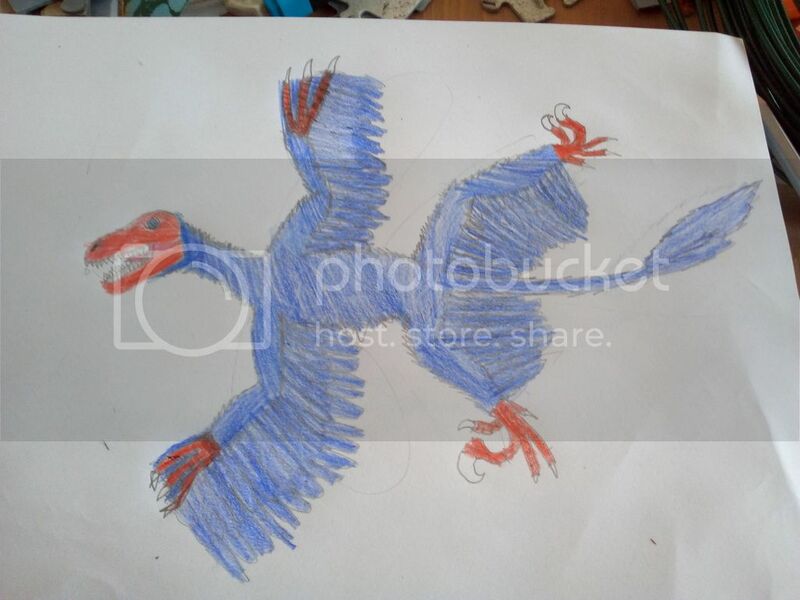 Today i have do a drawing of the Hibryd i invented: The Deinoraptor Dromaeonychus! Hope you like this thread. I want announce the opening of my Dioramas thread! I have modified also the First post addidng the link. 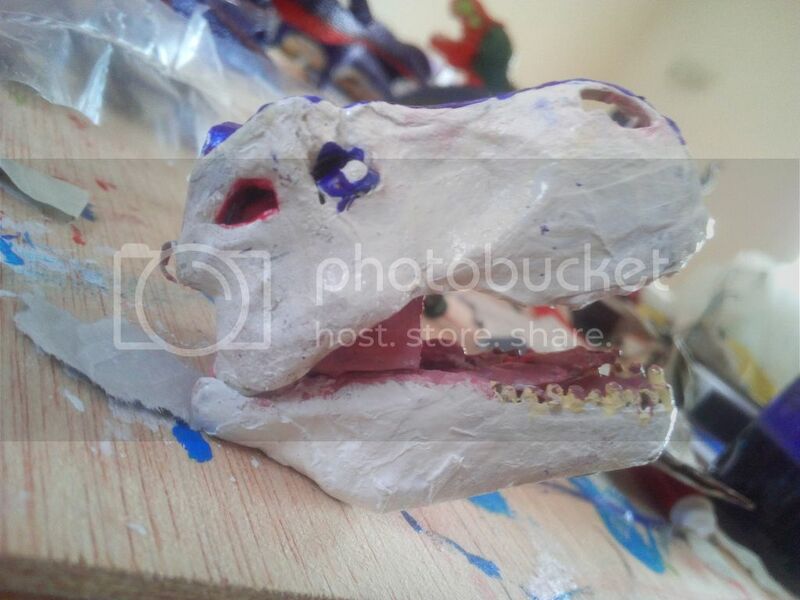 I'm working about my First sculpture...a Baby Tanystropheus! 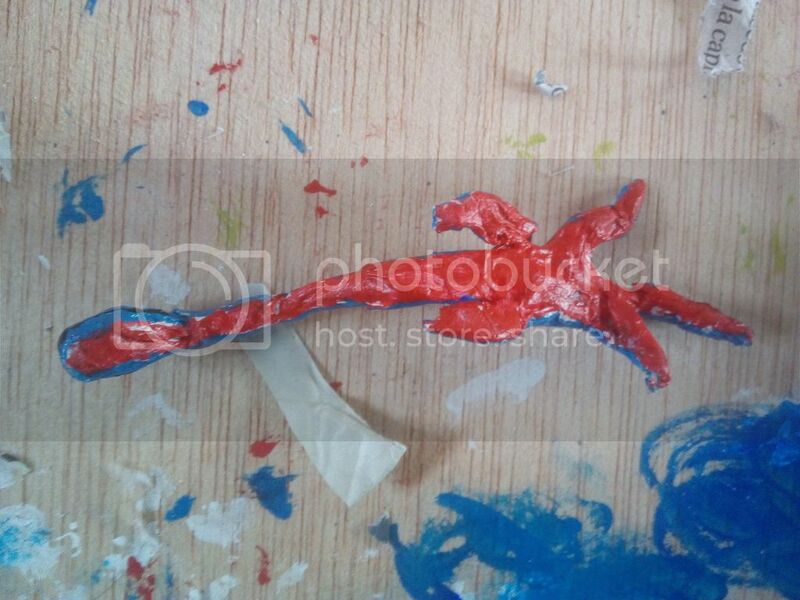 Ok, the head Is too big, but Is the most Little head that i Can do for a dinosaur (because it's do with paper, Paint, and a wire). 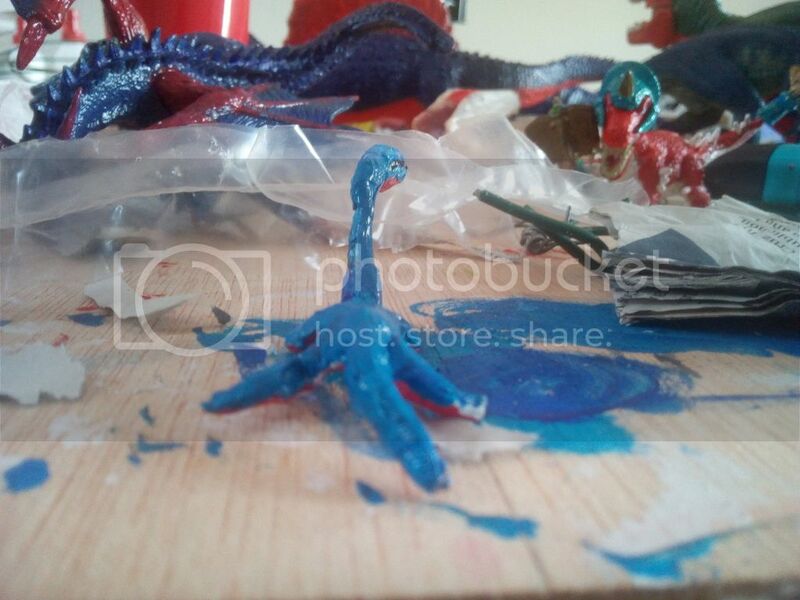 Here we are, the finished baby Tanystropheus! 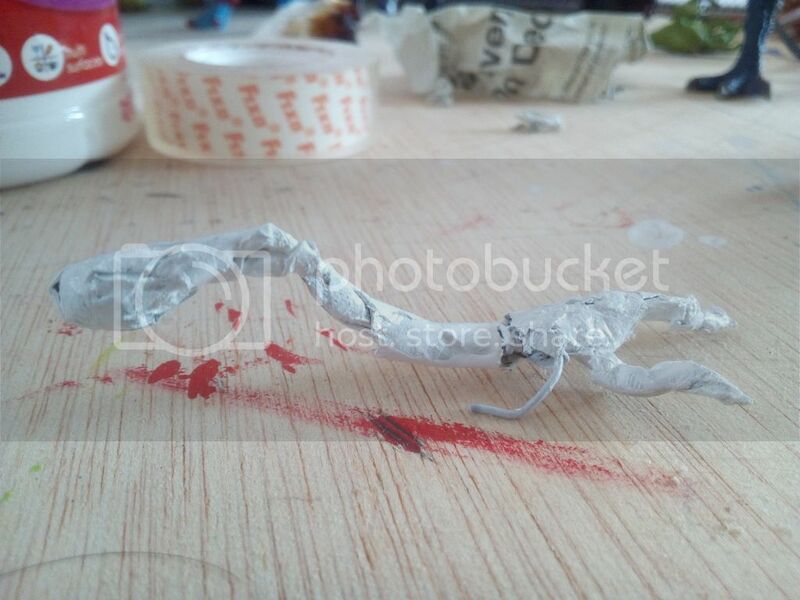 I've used newspaper, a flexible wire and Paint.The neck Is bendable. 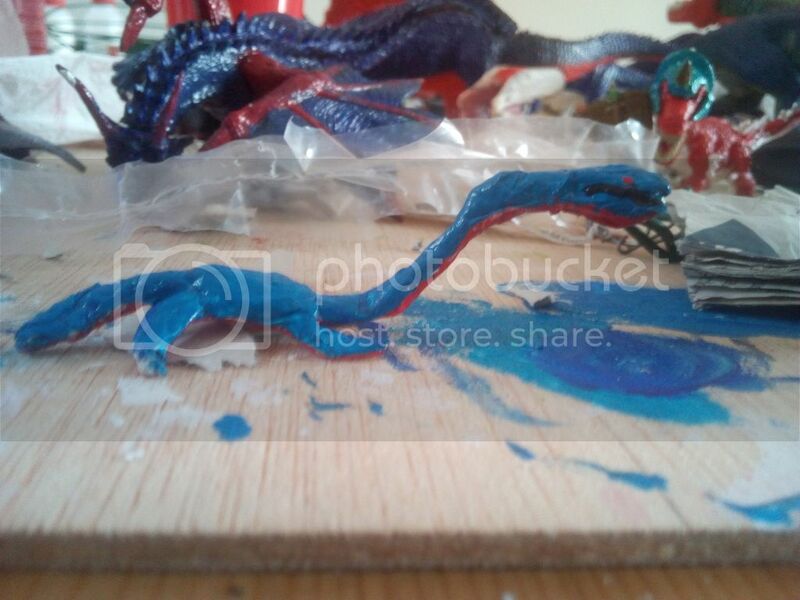 I'm also working to an articulated T-Rex (feathered, obviously), and i have finished the head! 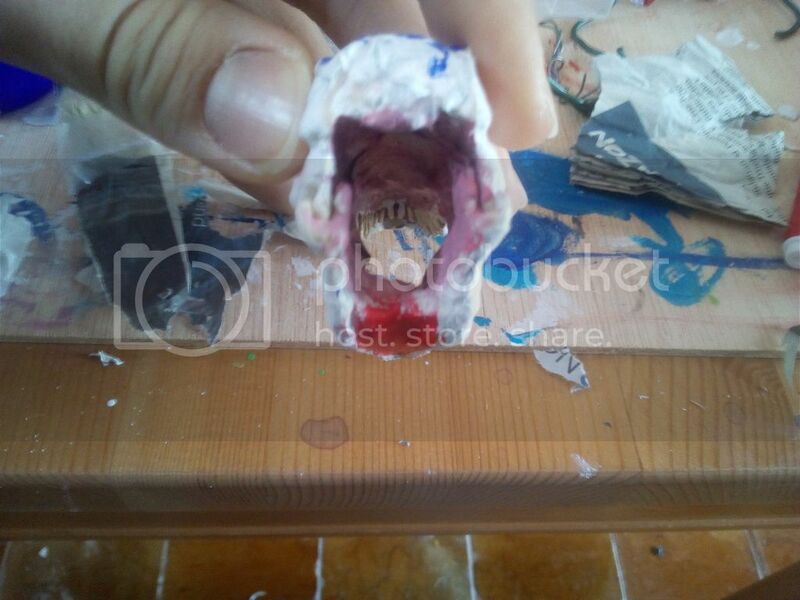 He Will have movable jaw, he have lips (separated from the teeth) and it's made With the Schleich T-Rex skull, newspaper and Paint. I really appreciate that you are trying to give it lips. P.S. 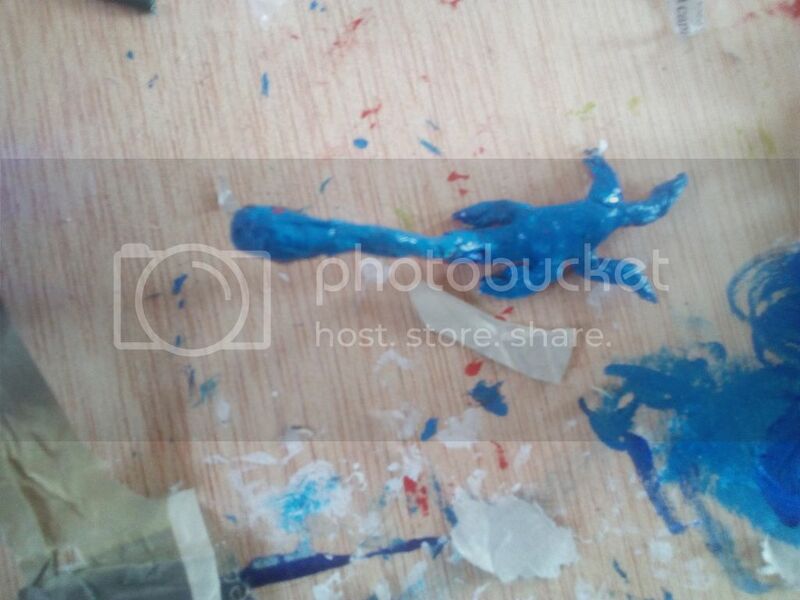 The T-Rex with this color scheme Will appear in the next season of "Mr.Rex Adventures"
I have finished the First T-Rex arm, and i Will post some photos Tomorrow. 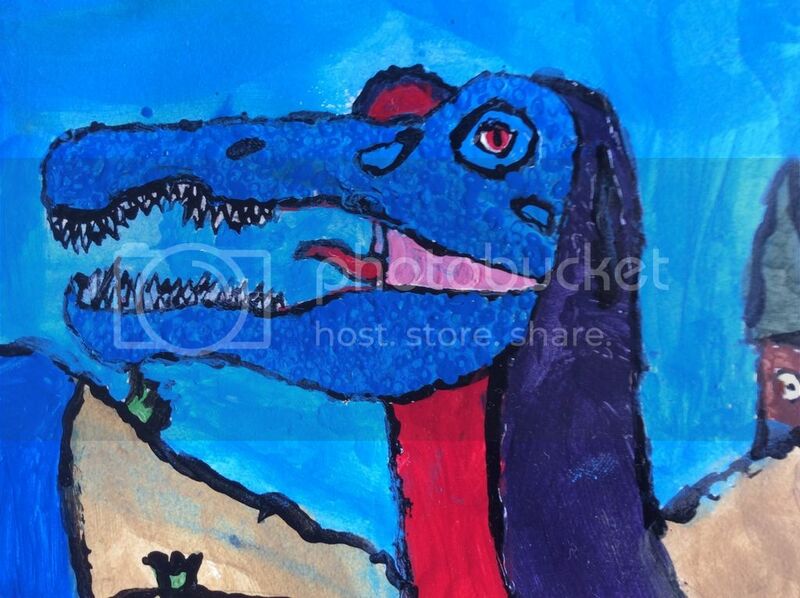 Heh, nice Spino drawing. How long did it take you? I have do It in 4-7 days, After finish to draw It, i have do a pause of 1-2 weeks (i had no time to finish it), After this pause, i have painted It in 2 days. You are talking about blue? 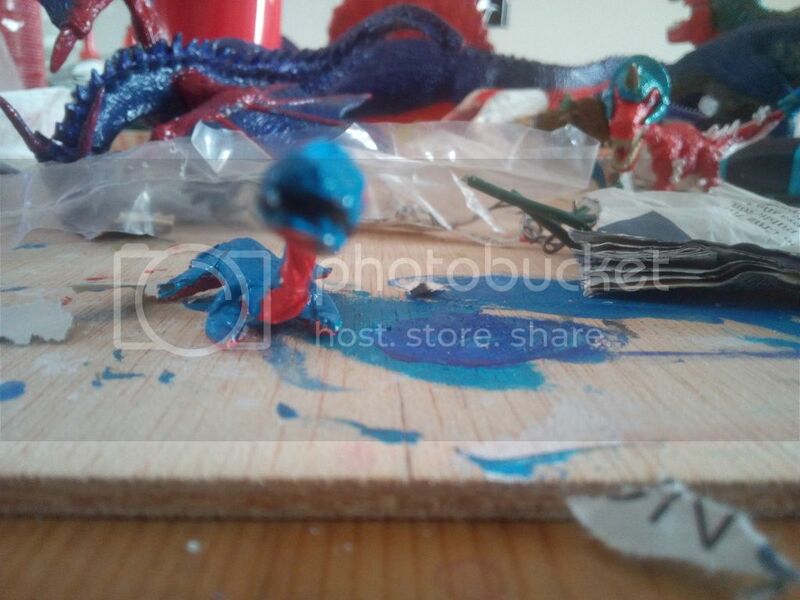 That Is my favorite color, and i like to use blu, clear blue and dark blue on my Paintings and Repaints.